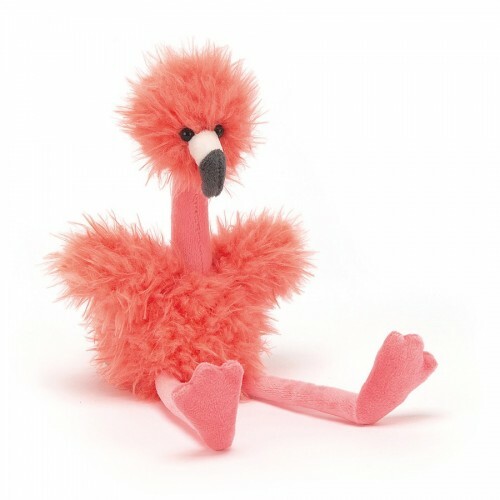 Bonbon Flamingo is goofy-gorgeous, from fluffy pink head to flappy flipper feet! This funny flamingo has salmon-sassy fur, a proud stand-up neck and waggly wings! A firework of fun with a neat two-tone beak, this merry Bonbon knows the best fishing spots!